This recipe would be appropriate in summer during raspberry season in most places. But the truth is you crave summer in winter the most. Add some sunshine and warmth to your day dive into this great raspberry vinegar DIY article. You definitely should make it later, when raspberries will be in their peak season. So don’t forget to save the recipe. If you ask, what so special about this vinegar and why you can’t simply buy it? It’s special because of its rich and fruity aroma that mixes nicely in green salads with blue cheese, nuts and fruits or adds a picante punch to the cocktails (as sugar free substituted for raspberry shrub). You can easily find it in many stores. Amazon has dozens of different brands of raspberry vinegar. But all of them are pricy. 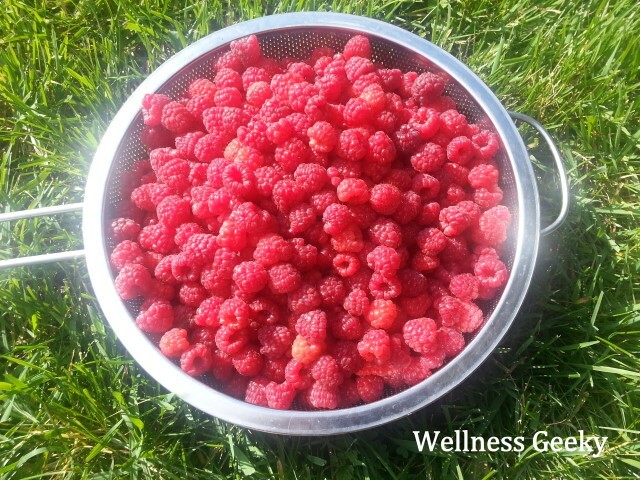 You will save a lot by making your own, especially if you have raspberries in your backyard. And if you have back yard but not raspberry bushes, then your task for the next grow season will be to get some, as fall raspberry bushes will be one of the best plant to have in backyard in terms of space and amount of care they need and harvest they produce. Plus raspberry vinegar is super easy to make, and doesn’t require any fancy ingredients or equipment. Jar with lid – the size depends on how much raspberries you have or how much raspberry vinegar you want to make. Funnel – for easy transfer of your vinegar to the bottle. Raspberries – the fresher and the riper, the better, washed and drained. Vinegar – Any vinegar will work, but my personal preference is unfiltered apple cider vinegar for additional flavor. Transfer raspberries to the jar, do not pack tightly and leave one inch or more to the top. Pour vinegar over, covering berries completely. Put the lid on the jar and keep in dark cool place for at list a week or up to a month. Shake every a couple of days. After a week or whenever you remembered about your future vinegar, strain liquid into the glass bottle. Discard solids. Keep your raspberry vinegar in cool dark place or better in the fridge. It is better to keep in the fridge as some fermentation can continue to go in the vinegar. You can hear pop (as with Champagne or beer) when opening a bottle with vinegar. That’s normal and safe. But keeping vinegar in the fridge will slow down this process. Nerdy Note: You want to keep your vinegar's acidity (pH) below 4.0 to stop any bad bacteria growth. You can check acidity with pH strips that cost only a couple of bucks and can be bought here. Raspberry shrub can be easily made out of raspberry vinegar, but let’s keep it for a separate post. 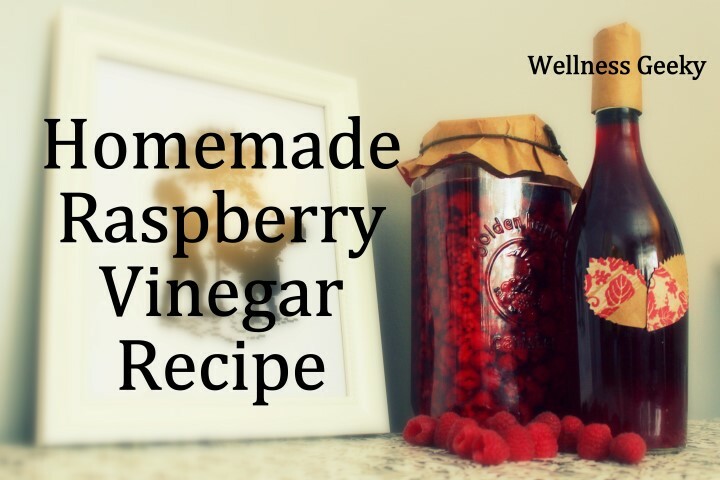 Have you ever tried store bought raspberry vinegar before wondering, if can make your own, share below?